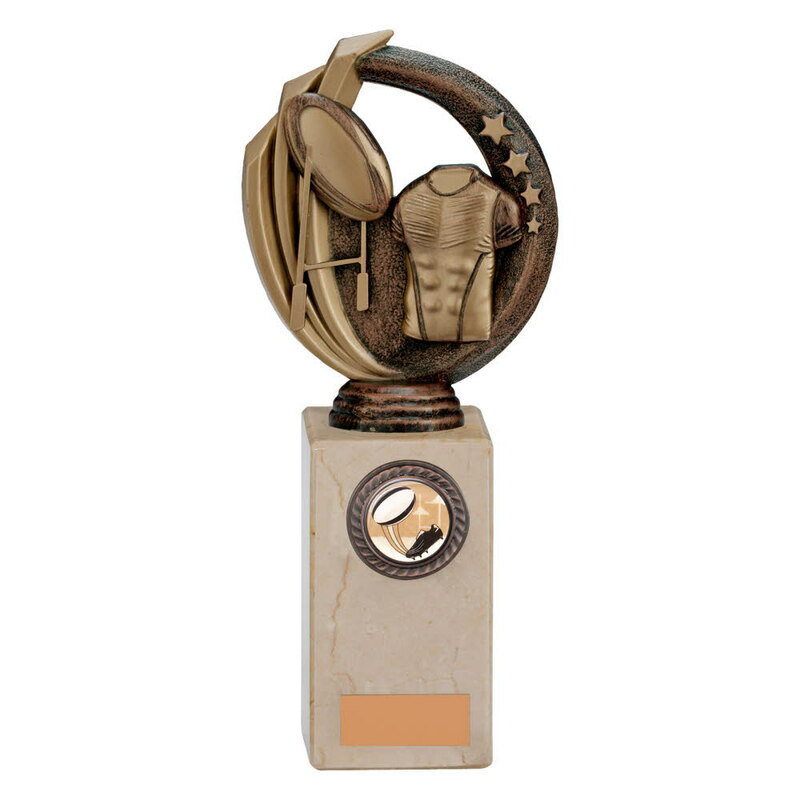 Renegade Series Legend Rugby Awards. 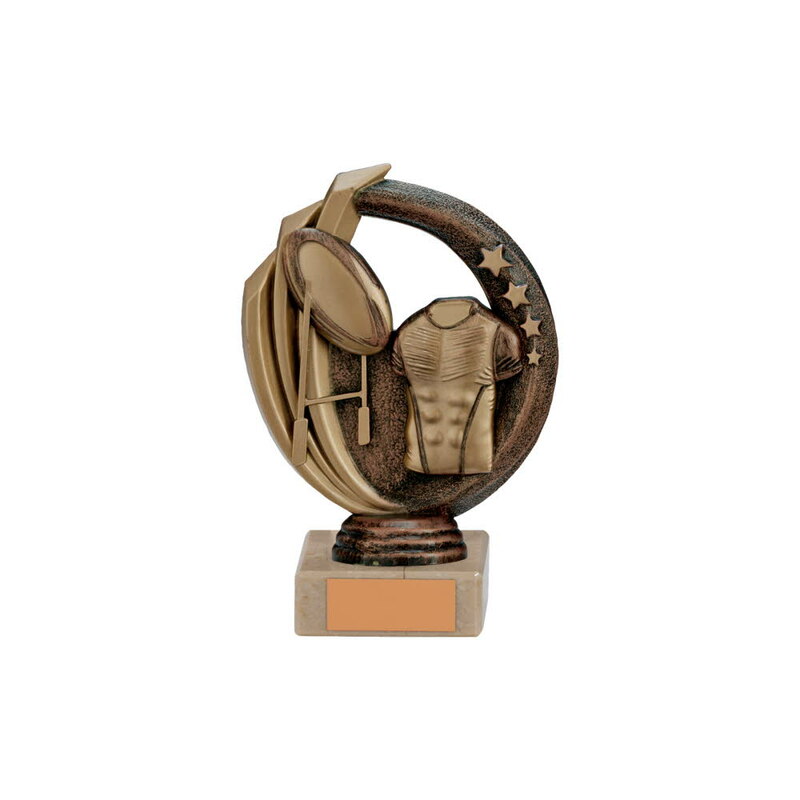 Available in 5 sizes, 140mm, 150mm, 170mm, 195mm and 220mm high. 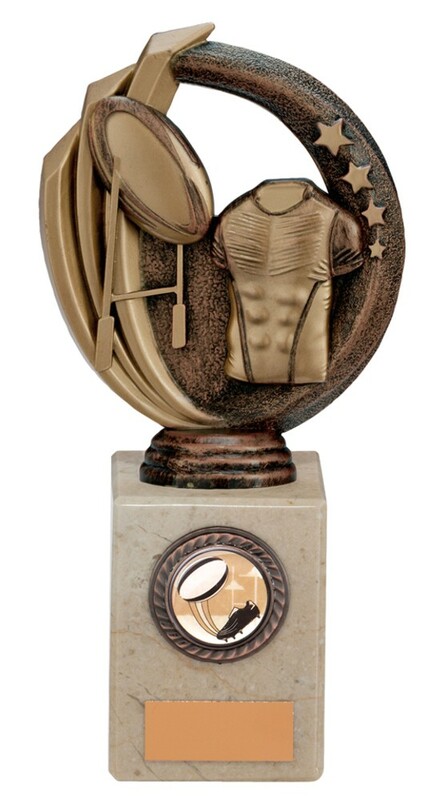 Antique bronze rugby shirt, ball and posts scene mounted onto a heavy cream marble base.